Ever since I was 8 years old I have had dogs, and growing up around them has really made me appreciate what wonderful animals they are. I worked in an office for a few years before a light bulb went off and I started volunteering at a gundog training centre at weekends. Before long I realised that working with dogs was the dream, and got a part time job working at a kennels. After a few months there I was lucky enough to find Dog Trouble, where I was employed after volunteering for a few weeks, first as a centre assistant, then after completing an apprenticeship in Dog Training, I was promoted to Boarding Manager. The centre is a behaviour centre rather than your standard doggy day care so the opportunity to learn was incomparable. Emma has loved dogs all her life, regardless of breed, age or activity level. She has been working as a personal trainer for 8 years, her passion lies within pretty much anything outdoors related, including walking, which makes working with dogs a perfect fit for her! 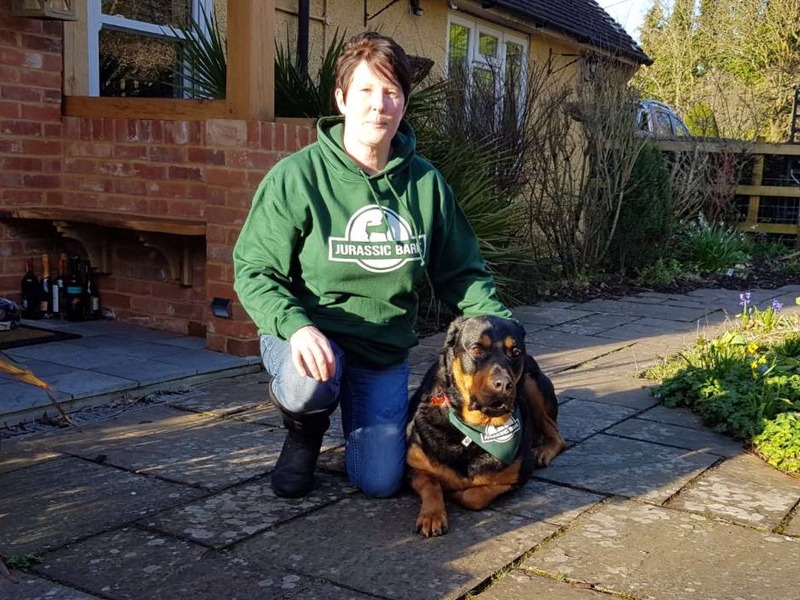 She has worked with dogs previously, having done dog sitting and dog walking for friends in the past, and she has recently completed her canine first aid training. She has successfully trained her own dog, Tess, as a trail dog, whilst she rides her mountain bike down the trails, Tess will follow behind her. Despite being a working cocker spaniel, Tess is most definitely not a gun dog, so chasing a mountain bike was their next best option, and they love going out together! Katie has a huge love for all dogs big and small, which started at the young age of 9 when she got her first dog, Nobby, who was a large, handsome Rottweiler. Her passion for dogs, Rottweilers in particular, has seen her rescue and give a loving home to 3 Rottweilers over the past 20 years. Kiara being the first who loved everything and everyone and got to the grand old age of 12. Cleo was the second who was a bit more selective of those she liked but still as loving, and Busby the most recent who is a 6 year old male. Busby has been very challenging over the last 4 years as he had no boundaries at first, and is not always keen on people or other dogs. Through hard work, love and commitment and the support of a couple of dog trainers, Busby is now a loving member of the family and mostly well behaved but still has his naughty streak which continues to keep Katie on her toes. Katies' love for dogs and determination to give dogs the best life she can has given her the strength to change her direction in life from being a chef for the past 30 years, to doing something she has always dreamed of doing, and so has decided to join the Jurassic Bark pack! Patch is my gorgeous 9 year old Jack Russell terrier who came to me after I began working at Dog Trouble, where he had been taken in after his first owners wanted to put him down due to behavioural issues. They were able to rehabilitate from a frightened shivering wreck to the happy, healthy dog who stole my heart. He's still a bit scared of some strangers but he gets more confidence every day. He spends most of his time attempting to catch flies and staring intently at me until I take him out for a walk. Aslan - This bundle of fluff is one of the noisiest dogs I have ever met and has a personality bigger than a T-Rex. He loves everyone and is overjoyed at every visitor we have to the house. Every toy is his favourite one, and he would play with them for hours on end if he could. Life is just the most exciting thing ever for my little boy. Sabre - This handsome boy flew over from Cyprus in June 2018 from a wonderful charity called SOS 'Save Oroklini's Stray Dogs' (look them up if you’re ever looking for a rescue dog!). He loves his new brothers, and has really lucked out with his new home of long walks and delicious treats! 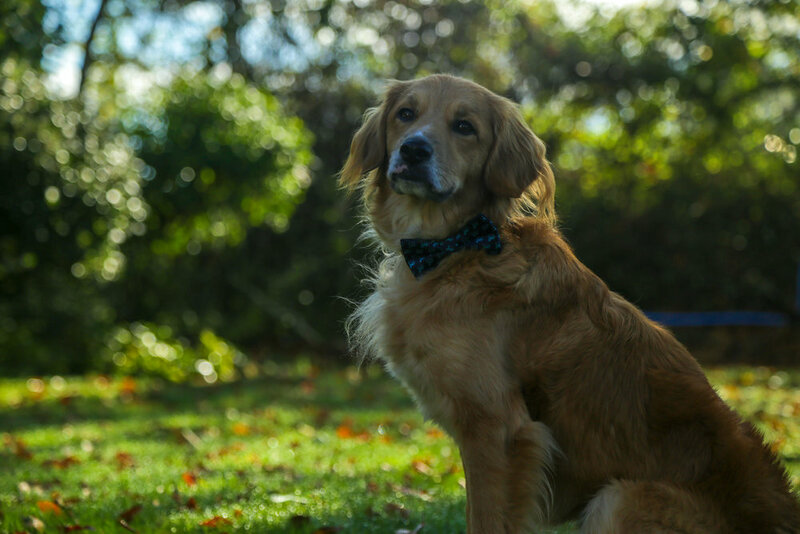 He is totally obsessed with squirrels, and loves taking himself off on his own adventures in the woods… we’re working on that… He also give the best cuddles a girl could ask for! These beautiful dogosaurs are where it all started for me. Left to right - Cole, Rascal, Piper, and Phoebe. Rascal was our first dog - he would stop to sniff every single blade of grass on a walk, and was an excellent ratter. He would've caught more if it weren't for Cole, who used to run around after him thinking it was a game. Cole was the softest dog I have ever met, and he loved everything about life. Him and Aslan would have got along famously. Piper was a very loving girl, she would always be there if you were sad, to lick your tears clean. Phoebe sadly passed away on New Years Eve 2017. She came along on all our pack walks up until that point and trotted along at the back (or got carried!) She was one of the sweetest dogs I have ever had the pleasure of spending time with. They meant the absolute world to me and will always hold a special place in my heart. Artwork credit to Tara Jessi Photography. RIP to our lovely Tilly. We adopted her in January 2017 from Dogs Trust Newbury, but sadly lost her in December 2017. She was absolutely lovely - totally deaf, and suffered from cushing's disease which is why she lost so much of her fur, but she was just adorable and loved being around the other dogs at our pack walks. We were very privileged to have enjoyed the last part of her journey on this earth with her.